You’re in college, so you know that picking a random apartment from a long list isn’t the best way to find your new place. We don’t think so either. RentTampabay.com is the fastest and easiest way to compare apartments near USF. We provide you with extensive filter options and the local information you need to narrow down your options for USF apartments. You don’t have to blindly go from one apartment after the other hoping that you’ll stumble upon the perfect place. Compare apartments by price, location, amenities and more. You can even search by the bedroom or the entire apartment. With RentTampaBay.com, your next apartment is only a few clicks away. 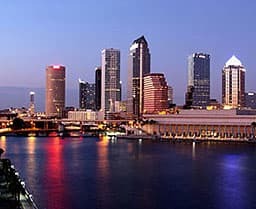 The tools and information provided by RentTampaBay.com cannot be beat. What other apartment guide offers you more than 300 options to toggle as you search for apartments near USF? None. We create detailed listings for each apartment, giving you the most information possible -- generally, even more than their own website -- because we know that the more information you have, the better decision you can make. 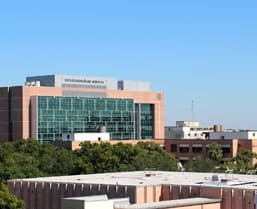 If you’re relocating to the area, we also offer a relocation guide that covers all there is to know about moving into USF apartments; we even provide an interactive map to give you a look at the area surrounding them. We also have local news from the Tampa Bay Times and social media updates keep you in the know. Much like your professors are experts in their fields, we’re the experts in ours. 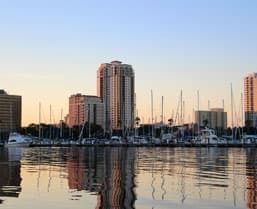 The team at RentTampaBay.com is comprised of local experts who aim to answer any question and address any concern you might have about USF apartments. They publish their responses weekly, which now amounts to more than 448 FAQs. These locals have also made their way throughout the city, checking out almost all the apartments near USF. They then bring back the most thorough insight they can, so that you have everything you need to make your best decision. From answering your questions to helping you schedule tours, we make it our mission to be here for you as you find your dream home at school. I’m moving on my own to a USF apartment, and I’m new to everything utility-related. Where do I start? Should I live in furnished or unfurnished USF apartments? How will living in an off-campus aparment near USF affect my financial aid? My college friends are throwing an ugly sweater holiday party – where can I find a great outfit or party-worthy sweater near USF? 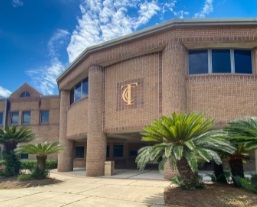 Universities are a major part of Tampa, so it makes sense that there are numerous apartment options for near USF. This city understands the needs of students, including the importance of living in a community you love. Nothing enhances the college experience more! With the all-inclusive USF apartments, there’s no need to fret over paying separate rent and utilities. Since they’re typically the most cost-effective option, choosing these places can save you both time and money -- leave the stressing for schoolwork. It’s important to live with someone you can get along with, which is why so many USF apartments offer roommate matching services. You can rest assured that you won’t be stuck with a crazy person (unless that’s what you look for in a roommate)! How do you get a homey atmosphere at a fraction of the cost? By renting one of the many furnished USF apartments available. Your friends are sure to be jealous of your awesome decor; you really don’t have to tell them that it all came with your new place. What Makes Us Different?We're not here to "upsell" you into USF apartments you can't afford.